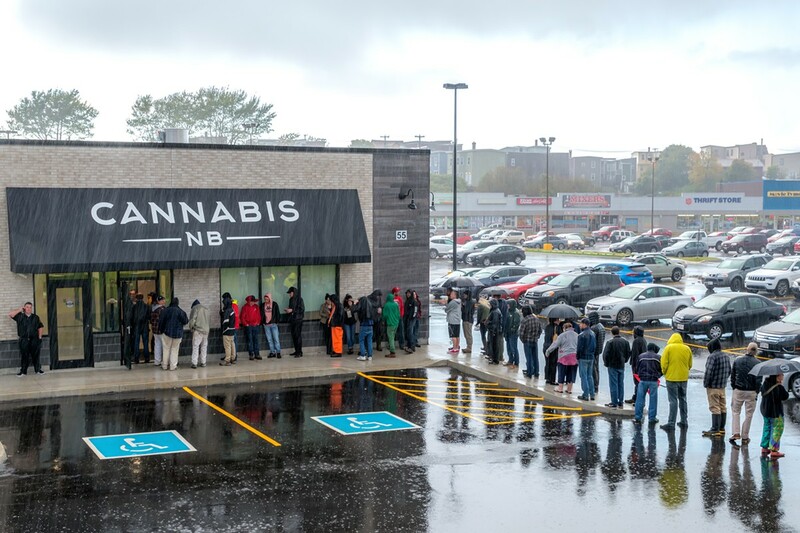 People waiting in pouring rain to purchase cannabis legally from a Cannabis NB store on the first day of legalization in Canada. 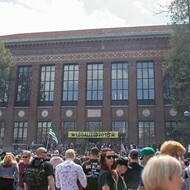 The quarrel over cannabis is in high gear in Michigan and across the country. To a certain extent this is much ado about something nobody has a great handle on understanding. We know a lot about cannabis. There's plenty about marijuana already in the books for someone who cares to look beyond their fears. There are tens of thousands of published scientific inquiries on PubMed about the plant and its effects. 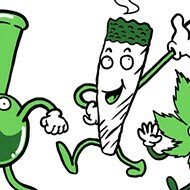 The site Granny Storm Crow's List has thousands of articles and studies about marijuana. 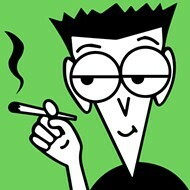 So the people who claim we don't know enough about marijuana to allow people to use it are full of hot air. People who don't know much about marijuana don't want to know more. There are also the thousands of years of using marijuana for medical and religious purposes. One thing we know from that is that marijuana is mostly benign. That's great as a starting point — people aren't going to be hurt by it. As Ann Arbor marijuana activist Chuck Ream has said of his half century of marijuana use, "If there were something wrong with it, I would have noticed." That's the point. People have been using marijuana and they've noticed that it's not what they were told. Sick people have noticed that they feel better when they use marijuana. Yes, we need to know more about it in that Western, scientific kind of way in order to understand how it can be better used. But we already know that it's useful. What we really need to do to understand marijuana is we need to have a non-toxic relationship with it. We need to spend that time evolving together. 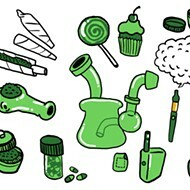 Marijuana is a multifaceted thing. That's been one of the problems with it. It's a different thing to different people at different times — it's hard to pin down. It has medical qualities and social enjoyment qualities. It has industrial qualities — a lot of them. The website voteindusrialhemp.com touts 50,000 uses and benefits of the cannabis plant, and none of those 50,000 involve getting high. Right now on the shelves of stores that have nothing to do with marijuana, hemp seed nutritional supplements, skin creams with CBD, and hemp rope can all easily be found. It's in bird feed and potato sacks. Prohibitionists tend to want to keep their heads in the sand about marijuana, and there are many marijuana enthusiasts who basically just want to party. The impasse between those bookends was broken by the apparent medical and industrial uses of marijuana, which accelerated the fight against prohibition. There are claims that medical marijuana is nothing more than a cover for creeping recreational legalization. That's not true. Medical and recreational marijuana both need to be legal for different reasons, yet there are issues where medical and recreational marijuana activists need to fight side by side. 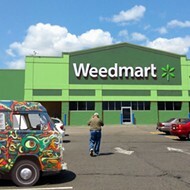 And just getting basic legalization is one of them. "Many patients will benefit from (recreational) adult use being legalized," says Brandy Zink, a Michigan ambassador for Americans for Safe Access, a national medical marijuana patient support organization. "It's right to have patients removed from the battlefield of the drug war first. That certainly helped bring awareness to the larger picture of things like racial disparity in people being arrested. The awareness that the medical marijuana issue has brought to the discussion helps to broaden the thinking of the average person about the horrors of the drug war." Those horrors include militarization of the police, creation of a potent and dangerous black market, destroying communities and families, creation of the prison industrial incarceration system, and blacklisting citizens from education, housing, and employment. It also has blocked people who would benefit from medical marijuana from needed relief because of the stigma against using it. "There is the possibility that we wouldn't be voting on recreational if medical marijuana hadn't been on the scene in Michigan," says Zink. "With medical marijuana, the sky didn't fall. We didn't see Reefer Madness happening. 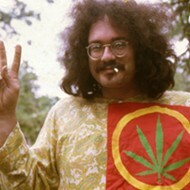 I think medical marijuana helped people get comfortable with the general idea of marijuana reform." That comfort level has been enhanced by numerous developments such as decriminalization issues that made voting yes to marijuana common, Dr. Sanjay Gupta declaring on CNN that marijuana indeed has medical qualities, and watching on television as folks in Colorado and elsewhere stand politely in lines to buy pot. Maybe the ultimate meme of this comfort is the phenomenon of Martha and Snoop's Potluck Dinner Party. When a notorious marijuana enthusiast joins with a "proper" lifestyle expert, you know something new is on the table. Medical marijuana is not a front for recreational cannabis. They are compatriots with common goals. There are people who could use it medically but won't because they don't want to be labeled a doper. Anything that reduces that stigma is going to be a great aid to patients. My friend's father has a back condition that he takes opioid painkillers for. A few years ago my friend started giving his father marijuana cookies. 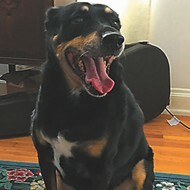 They helped ease his use of painkillers. However, his doctor mentioned that from a blood test he noticed that the dad was using marijuana. My friend's father denied it and stopped eating the cookies. It's people like that — who all their lives were told that marijuana users were bad people — who will be helped by recreational marijuana. Medical marijuana and recreational marijuana go hand in hand. As we move forward, marijuana is going to be more about medicine, lifestyle, and business, and less about law enforcement and legal issues. The Granny Storm Crow List mentioned above is organized in a way that leads to an understanding of cannabis. As "Granny" writes in the introduction, "The first section of the List is links to news articles, so you won't need a Ph.D. to use the List." To understand cannabis and how it interacts with the human body means learning about the endocannabinoid system. Although nearly every living thing with vertebrae has one, awareness of this molecular signaling system responsible for maintaining many of our bodily functions first emerged in the 1990s. The human body produces its own endocannabinoids, while marijuana and other plants produce phytocannabinoids (plant cannabinoids). Both kinds enter our systems through cannabinoid receptors throughout our bodies. It is marijuana that led to the discovery of what science says could be one of our most important systems. THC is one of up to 100 cannabinoids in marijuana. That's the one that folks have been partying with, and the one that causes the most controversy. There may be others that help get you high. CBD is the newly popular one that has caused medical excitement because it has been used to reduce seizures in epileptic patients who have not responded to conventional treatments. It also works to counter the effects of THC — such a well-balanced plant. There's a whole alphabet of other cannabinoids, including CBG, CBC, CBN, and CBDL. We know very little about the specific effects of these and dozens of other cannabinoids other than they won't kill you. Learning about them will be key in future developments about marijuana. 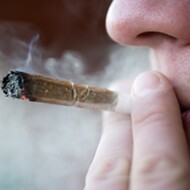 Most of them are not intoxicants and some of them have been connected to painkilling, antibiotic effects, anti-cancer effects, and more, including anti-Alzheimer's effects. Once the effects of any cannabinoid has been identified, they can be refined. Just as strains of plants can be developed with higher amounts of THC or CBD, they can be bred to have higher or lower amounts of other cannabinoids. Cannabinoid profiles are soon going to become more and more important to consumers. Cannabinoids and their effects are what make marijuana medical and recreational.